The exterior presents smooth facades and slender segmented windows and the imposing interior shows rich wall painting decorations in oriental style. The ark used for storing the rolls of Torah is located on the eastern side, while the central part is dominated by an elevated place and a liturgical table used while reading the Torah. 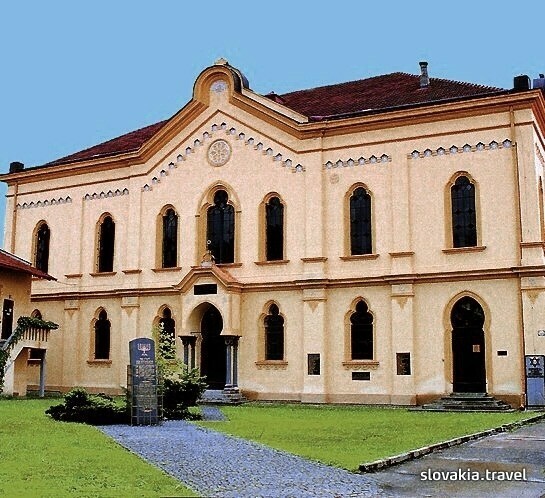 Not only the synagogue itself may be visited on the Jewish religious community premises in Prešov, but also the Bárkány collection of Judaica may be seen, placed on the upper floor and administered by the Slovak National Museum Jewish Culture Department in Bratislava. The collection also includes historical items from the original Jewish Museum that was established in Prešov in 1928.